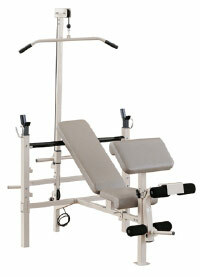 We have a whole range of weights bench options available here at Sinclairs Fitness. From the basic flat bench, right through to benches with a range of functions and uses, like the Golds LP Combo Bench. So whatever you’re into and whatever your budget, there’s something to suit you.